I had this when I went to a friend's Pampered Chef party. 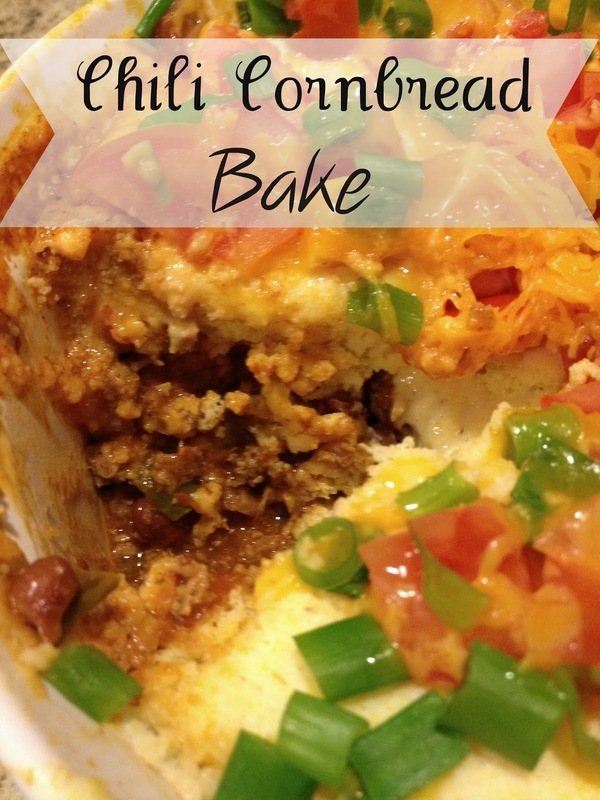 I loved that you could prepare it in the microwave and the southwestern flavors in it. When I got back home I googled the recipe and found it here. This has become a staple in our house. My husband loves it and I love I can use fat free sour cream and turkey to make it a little healthier. I think it's pretty cool you make it all in the microwave, too! 1. First place 1lb ground beef or turkey in a tall, microwave safe dish. If you have it, you can use the Pampered Chef deep dish baker. I don't have it and you can kind of see the dish I used instead later on in pics. Add one chopped green pepper and 6 chopped green onions (reserving 2T. of the green onion for garnishing later on) to the dish. 2. Microwave for 7-9 minutes until the meat is cooked, stirring halfway through to break up the meat. Pour off the juices. 3. Add 1 cup of salsa, 1 can of chili beans in sauce, and 2T. of chipotle seasoning. Stir until mixed and microwave for 5 minutes, covered. 4. 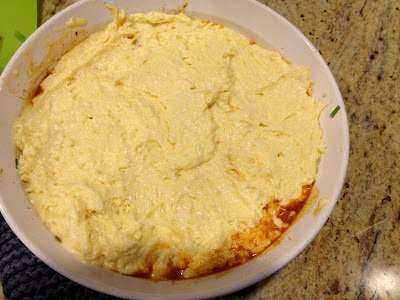 While dish is microwaving, stir 1 egg, 1 package of cornbread mix and 8oz of sour cream together. 5. Spread over top of dish all the way to the sides. Microwave, covered for another 7-9 minutes, until center of cornbread springs back up when pressed lightly. Sprinkle 1/2c. shredded cheddar cheese, reserved green onions, and 1 plum tomato chopped. Microwave for an additional 2 minutes or until cheese is melted. Enjoy! Place meat in microwave safe dish with high sides. If you have it, use the deep covered baker from Pampered Chef. Chop the bell pepper and add the pepper and green onions to dish reserving 2 T. of green onion tops for garnishing later. Microwave for 7-9 minutes, stirring halfway through to break up meat or until meat is cooked through. Pour off juices. Add beans, salsa, and chipotle spice and mix well. Microwave covered 5 minutes or until mixture is hot. While dish is microwaving, combine cornbread mix, sour cream, and egg in bowl. Spread over meat mixture all the way to edges of dish. Microwave covered 7-9 minutes or until center of cornbread springs back to a light touch. Sprinkle cheese, remaining green onions, and tomato over top. Microwave an additional 2 minutes or until cheese is melted. It's kind of a fun concept! You might want to decrease the chipotle spice though for your little one!